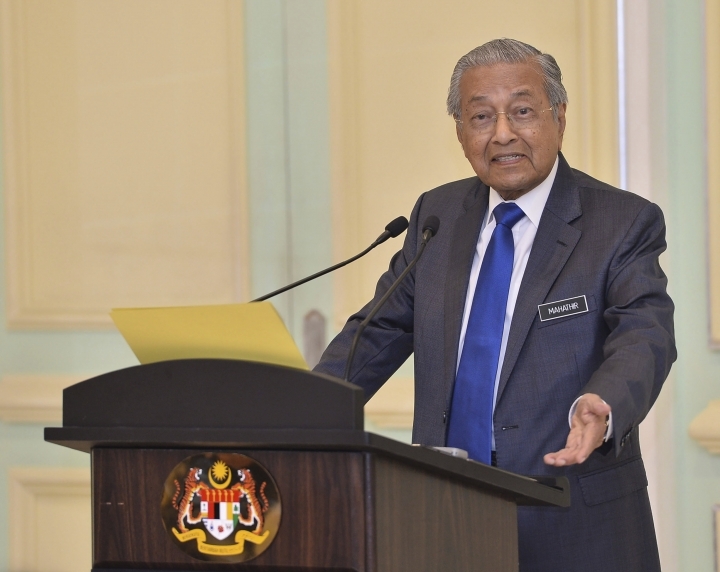 KUALA LUMPUR, Malaysia — Prime Minister Mahathir Mohamad said Friday Malaysia won't ratify the Rome Statute of the International Criminal Court, the second treaty the government is withdrawing from after coming under pressure from the majority Muslim opposition. Malaysia earlier this year backtracked on acceding to a U.N. treaty against racial discrimination following a massive Muslim rally. Mahathir said the Cabinet decided not to ratify the Rome Statute as it has been manipulated by his opponents. He rejected allegations that the treaty will undermine Malaysia's sovereignty and its royal families after a powerful state sultan joined the opposition to Malaysia's joining the court. The court has been hobbled by the refusal of the U.S., Russia, China and other major nations to join. Others that have quit include Burundi and the Philippines. "This is not because we are against it but because of the political confusion about what it entails, caused by people with vested interest," a visibly upset Mahathir told a news conference. "I see this as a way to blacken my face because they know they cannot oust me easily," said Mahathir, the world's oldest leader at 93. Mahathir's government still struggles with racial issues as many ethnic Muslim Malays, who account for two-thirds of the population, support the opposition. Malaysia signed the Rome Statute in March but the opposition had objected to it on racial grounds that it could undermine privileges for Malays as well as the immunity of nine Malay state rulers. The wealthy ruler of southern Johor state also recently accused the government of breaching the constitution by signing the treaty. Mahathir slammed efforts to engage Malaysia's royal families in the discourse against the government. "They claimed the law negates the rights of the Malays, the rights of the rulers. It's absolute nonsense," he said. "We understand that this is a political move to get the rulers to back them up. Of course, some members of the royal family may be involved, but the whole idea is to get the royalty in Malaysia to go against the government." Traditional ethnic Malay rulers constitutionally head nine of Malaysia's 13 states. They do not have executive power but are highly respected among Malay Muslims.